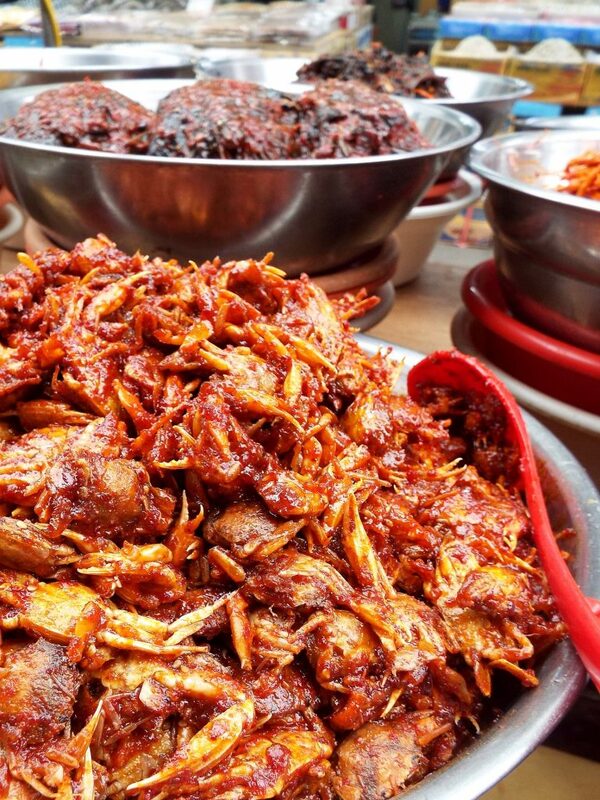 How do you pick out what street food you’ll be eating one wonderful travelling afternoon? Presumably, the myriad of aromas invading your nostrils will guide your way to the stalls where all the treats are being served. Scooby-Doo style. But most people won’t go out of their way to try the disgusting-looking street food served in certain parts of the world. 99% of the time we settle for what looks good thinking that will also apply to the taste. On the other hand, we all know appearances can be deceiving. We’re not going to lie – most of these dishes sound ripped straight out of a horror story. Still, you’re missing out if you don’t try some of these following delicacies at least once on your travels! Every time you look at street food lists, you’re bound to find “the Land of Smiles” in there somewhere. They’re just that famous! 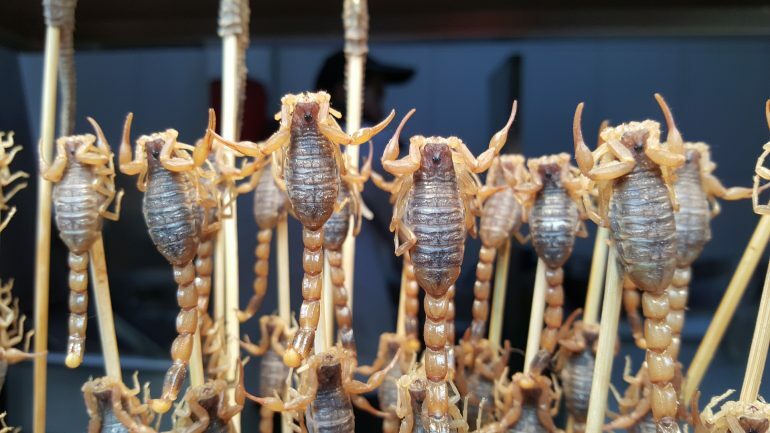 Most of all, you will usually find that Thai street food comes on a stick – anything from fish balls to squid, insects, and yes, even scorpions. Khao San Road in Bangkok is famous for its wide selection of shops, bars, and most importantly: food stalls. Here you will find many courageous travellers eating the most disgusting-looking street food types, but then going “Hmm. This isn’t half bad!” Okay, maybe that isn’t everyone – but you won’t know until you try it. Depending on how much distance there is between you and a dish of escamoles, they either look like small beans or a bunch of rice. Well, a closer inspection of the plate reveals that the tiny morsels are actually… ant larvae. We bet many of you won’t look twice in their direction, but they surprisingly do taste like beans. 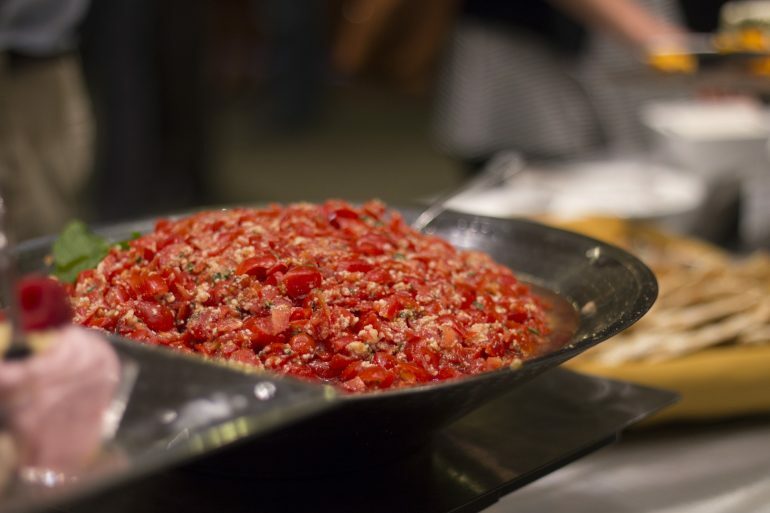 Most of the time they’ll be served in omelettes, tacos, or other dishes, so even the faint of heart can try them out! Do be aware that you can only find these treats between March and June when the larvae are “harvested” from the roots of agave plants. Balut is probably the most innocent-sounding street food you’ll read about today. At least at first – I mean, what’s so disgusting about a hard-boiled duck egg? Wait till you realize that the egg is actually fertilized and left to grow between 2 to 3 weeks before being sold as street food. This is mostly a Filipino speciality, but can also be found in countries like Cambodia, Laos and Vietnam. If you’re in the area, you should try one, even if only for the savoury broth that forms around the duck embryo. The rest of the balut (if well-made) is actually very soft and tender. So don’t worry, you won’t feel any unwelcome “crunches” when eating balut. Eating orejas (ears in Spanish) is said to have come about in times of famine, though nowadays they’re just seen as a Galician delicacy. By themselves, they can seem pretty unsightly. Though boil them for an hour or so, add some olive oil and spicy paprika and you have yourself quite a tasty treat. What actually turns most people off from eating pig ears is the texture that seems a little bit like plastic. Boiling the meat helps to remove that icky feeling somewhat, and the expert condimenting from Spanish street food chefs makes it all worthwhile. In Madrid, you’re likely to find them mixed with mushrooms and/or bacon bits and maybe sprinkled with just a bit of lemon for that extra aroma. Snakes by themselves aren’t ‘disgusting,’ so to speak (apologies to those with the unfortunate phobia). After all, they’re just scaly little dudes who are trying to make a living eating local rodents. When properly cooked, they just seem like any other meat dish you might find in street stalls. But go to Vietnam and you might have the ‘pleasure’ of seeing something truly shocking. Turn away now if you don’t want the ghastly image in your dreams tonight! 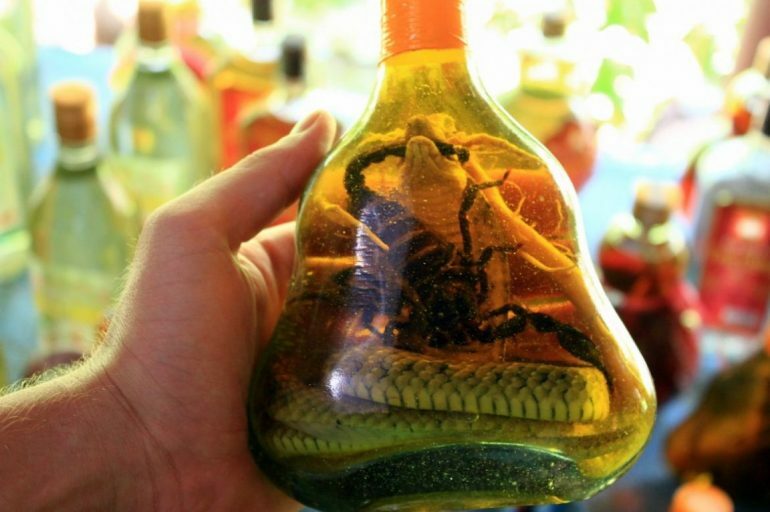 Fried scorpions are nothing to the sight of a live snake being killed on the spot on a customer’s table while the waiter eats its still-beating heart. Not very pleasant, but Gordon Ramsay ate one too, once. 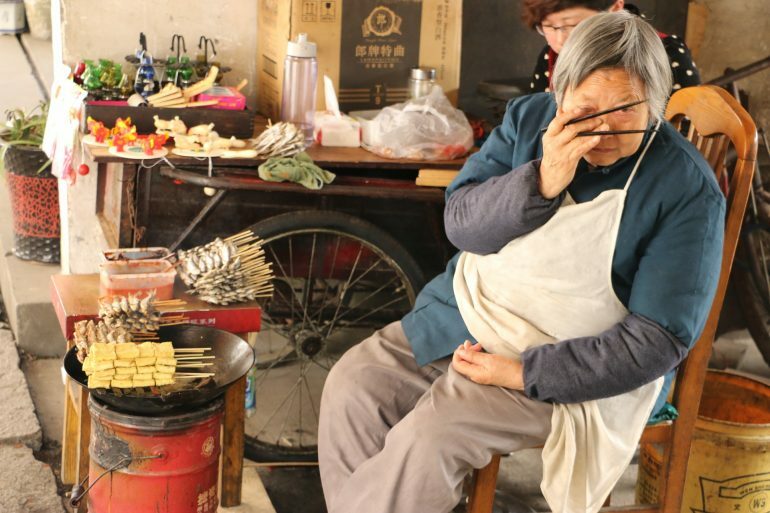 When it comes to disgusting-looking street food, China can surprise the taste-buds of many who are not familiar with their dishes. Although we heard Cambodia is also a fan of spiders (particularly in Skuon, or “Spider Village”). As we mentioned before, you really just have to leave your comfort zone and just try all the magnificent options available. If anything could look more mortifying than deep fried spiders, then it’s battered and deep-fried crabs. Albeit just slightly. 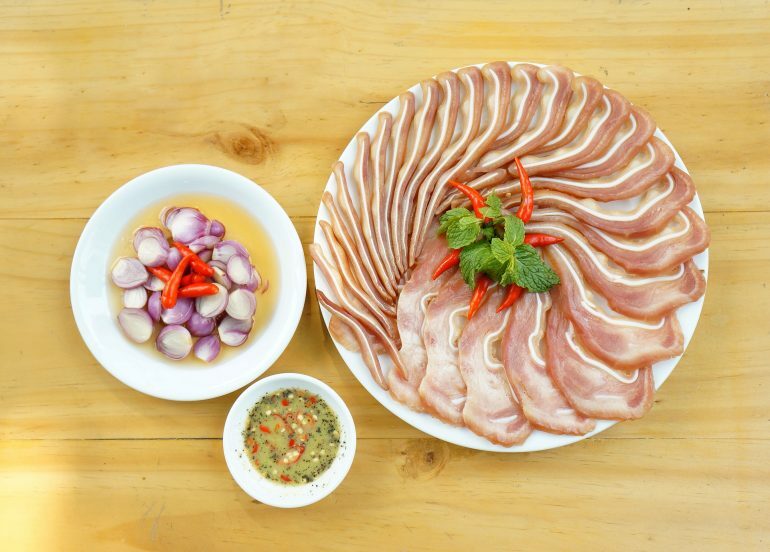 We told you China was an expert on making delicious food that you would never think of eating back home. What was the most disgusting-looking street food you’ve ever seen or tried? We’d like to hear about it! Love it! I would add to the list Bamboo Worms ? Oh my gosh haha I was DYING reading this! I grew up the pickiest eater so the fact that I’m eating things like tomatoes and broccoli now is a big deal. I’m not sure I’m ready to take this step! MAYBE someday I’ll be adventurous enough to take the tequila shot with a scorpion! I see bugs being sold everywhere in Bangkok, but never brave enough to eat!